Keep your Cal Pump Stainless Steel Pump, 1200 gph, running well using the Cal Pump Repair Kit for the S1200T Pump. This kit easily replaces worn or broken parts on your existing stainless steel pump (not included). 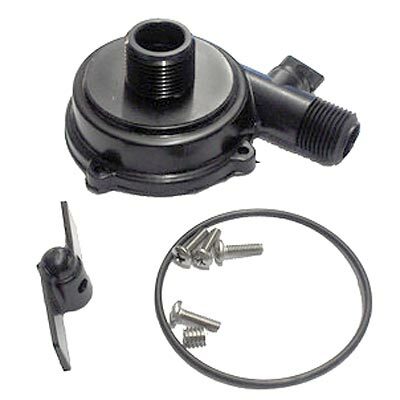 The plastic front cover with a threaded inlet accepts 3/4" FNPT fittings, and a flow adjuster knob on the 1/2" outlet enables you to minimize or maximize your water flow as desired. The included impeller keeps your pump properly moving water, and the O-ring creates a tight seal. Use the four included screws to securely attach the cover to your existing pump (not included). Mend worn or broken parts on your existing Cal Pump Stainless Steel Pump, 1200 gph, with this Repair Kit for the S1200T Pump.